Arnold Dreyblatt (b. New York City, 1953) is an American media artist and composer. He has been based in Berlin, Germany since 1984. In 2007, Dreyblatt was elected to lifetime membership in the visual arts section at the German Academy of Art (Akademie der Künste, Berlin). He is currently Professor of Media Art at the Muthesius Academy of Art and Design in Kiel, Germany. One of the second generation of New York minimal composers, Dreyblatt studied music with Pauline Oliveros, La Monte Young, and Alvin Lucier and media art with Woody and Steina Vasulka. His early activities in music and performance included the albums "Nodal Excitation", "Propellers In Love" and the opera project "Who's Who in Central and East Europe 1933”. Arnold Dreyblatt has charted his own unique course in composition and music performance. He has invented a set of new and original instruments, performance techniques, and a system of tuning. Often characterized as one of the more rock-oriented of American minimalists, Dreyblatt has cultivated a strong underground base of fans for his transcendental and ecstatic music with his "Orchestra of Excited Strings". His music has been performed by the Bang On A Can All-Stars in New York, Jim O'Rourke, The Great Learning Orchestra in Stockholm, Pellegrini String Quartet and the Crash Ensemble Dublin. He has recorded for such labels as Tzaddik, Hat Hut, Table of the Elements, Cantaloupe, Choose and Black Truffel. 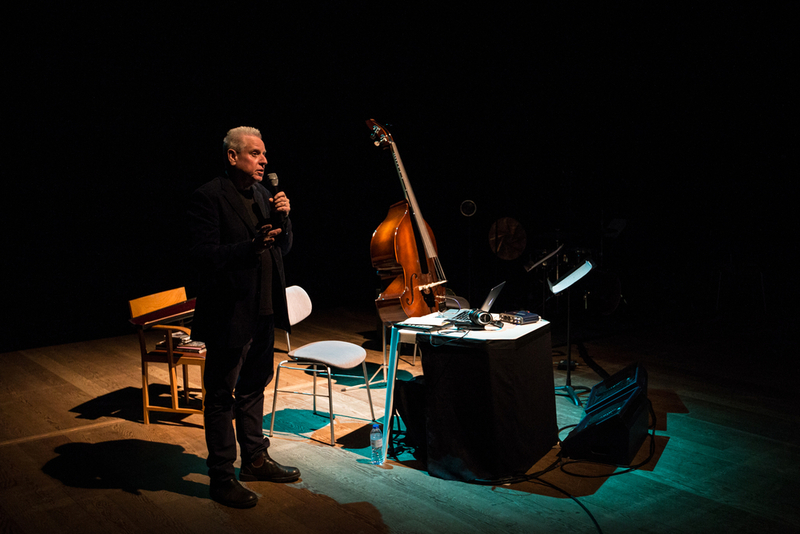 Dreyblatt has taught music workshops resulting in performed compositions with musicians at "The Music Gallery", Toronto; MIT Boston, Serralves Foundation, Porto, Portugal and many others. He has performed with and without his ensemble at the Whitney Museum, New York; the Maerz Music Festival, Berlin; the Angelika Festival, Bologna; The Lab in San Francisco , Jazz House, Copenhagen and countless other festivals and concert venues in Europe and in North America. He is represented by the German GEMA.